MEXICAN TILE REFINISH : MEXICAN TILE RENEW PROJECT ON LONGBOAT KEY FL WHERE NEW TILE WAS INSTALLED NEXT TO 20 YEAR OLD DIRTY TILE. 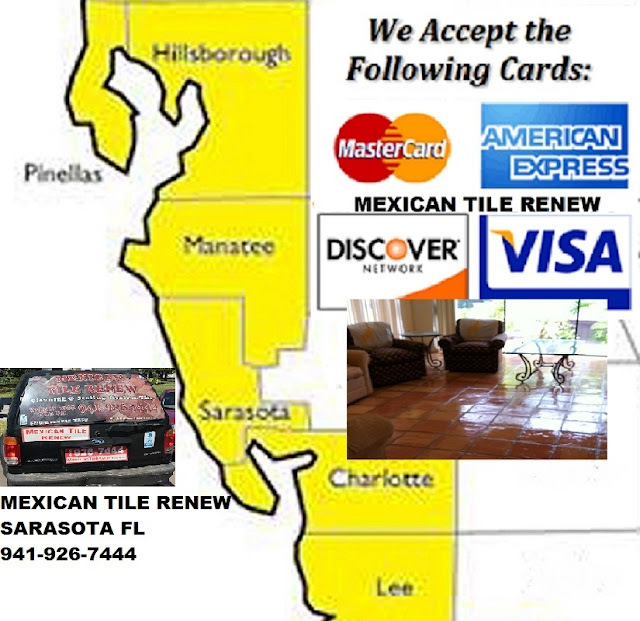 'MEXICAN TILE RENEW' SARASOTA FL REFINISHING MEXICAN TILE FLOORS FROM ST PETE TO FORT MYERS SINCE 1995. 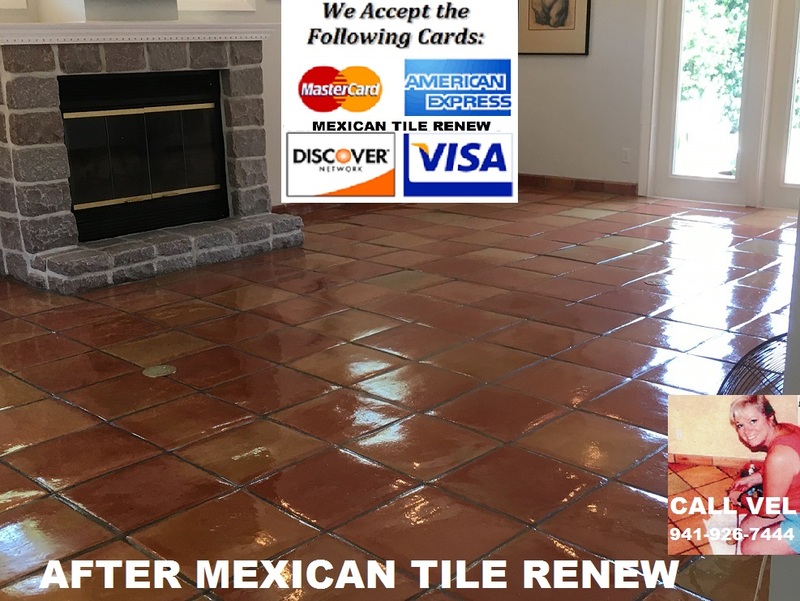 Mexican Tile requires care to ensure that it lasts for years and generations and imparts natural beauty to the surroundings. Keep surface free of dust, which may otherwise produce scratches. Hence, dust interior floors frequently using a clean non-treated dry dust mop. Use warm water and mild dishwasher soap to clean regularly using a mop or sponge. Mexican Tile Renew Project in St Pete Fl. 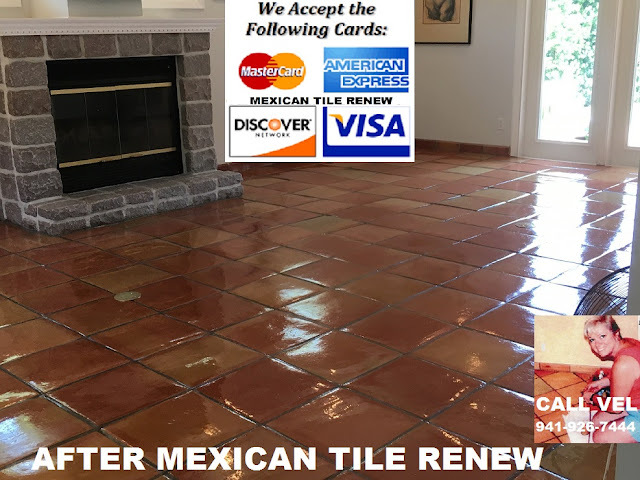 Mexican Tile Renew ACRYLIC SELAERS offers high gloss protection and beauty to unglazed Mexican paver tile and other porous terra cotta surfaces with fewer coats. A blend of the latest in acrylic polymer technology has been coupled with an antimar agent, U.V. 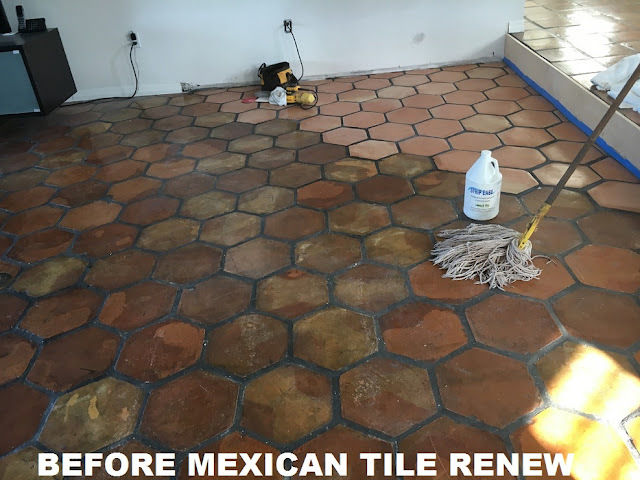 inhibitors and a grease and oil blocker to become the perfect solution for sealing porous tile. 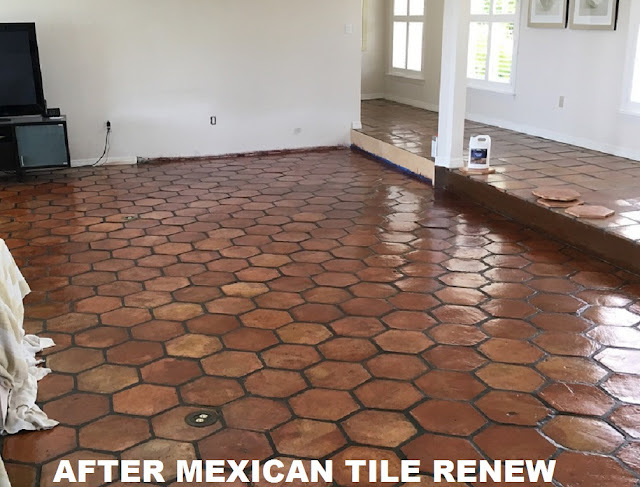 Mexican Tile Renew Project in St Pete Fl.